The California Coastal Zone Conservation Initiative made the state’s entire coast public property, but a Silicon Valley darling is trying to block access to a San Mateo County beach where I spent much of my misspent youth. 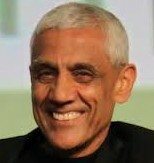 Vinod Khosla, a co-founder of Sun Microsystems who is estimated by Forbes Magazine to be worth $1.5 billion, paid $37.5 million in 2008 for 53 acres of beachfront property opposite Martins Beach south of Half Moon Bay, and immediately shut off public access. This is where it gets personal. I spent many days at the 200-acre, crescent-shaped beach, one of the best places to surf north of Santa Cruz for those who aren’t ready for Mavericks. Locals organized Friends of Martins Beach and sued, but a San Mateo County judge ruled last year that Khosla has the right to block public access to the beach, thanks to an unusual set of circumstances dating back to the Mexican-American War of 1848. People can still use the beach–if they can get there from the ocean. Now the Surfrider Foundation is suing Khosla in San Mateo County Superior Court, accusing him of flouting the California Coastal Act when he blocked the only road into Martins Beach. Khosla is accused of painting over billboards welcoming people to the beach, putting up a locked gate in front of Martins Beach Road, and hiring armed guards–all technically property development that requires permits from the state Coastal Commission. His lawyers assert that the beach was never open to the public because admission was charged, and that the plaintiffs are trying to reclaim a right that never existed. Over his lawyer’s objections, Khosla will have to testify in the case Monday. A darling of the coastal liberal set, Khosla has taken advantage of government subsidies to invest heavily in renewable energy projects, and seems to enjoy making access either expensive or difficult. He hosted a dinner last year where people who could afford $32,500 got to meet President Obama and several senators. If Khosla prevails in this case, the public will have to swim or take a boat to Martins Beach. 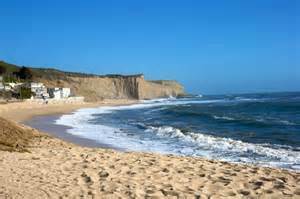 This entry was posted in Environment, Government, Public Policy and tagged California public beaches, Martins Beach, Vinod Khosla. Bookmark the permalink.